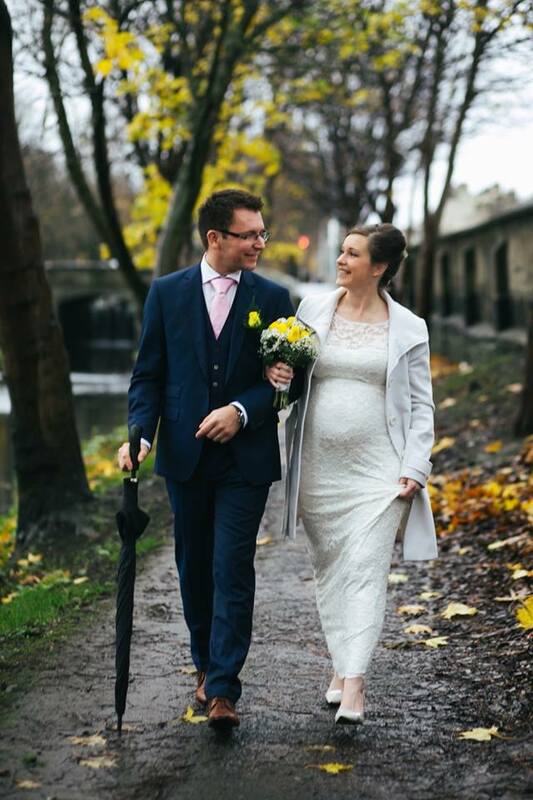 Last week I got married! Finally D made an honest woman of me and said ‘I do’. After the absolutely horrendous year we have had, there has been some light shining in our hearts for the first time and we wanted to celebrate that. Our big day, was not so big. It was about our two families coming together to witness how we feel about each other and to share in our hopeful future. There were only the nine of us in total. Which was almost perfect! As I looked around the room when we were saying our vows, the people who were there, were the ones that mean the most to us. Everyone had tears in their eyes, which of course, set me off crying and blubbering during my vows. Somehow I still managed to get them said and a few minutes later, we were husband and wife. And as we signed our papers, our little girls song played in the background. It was incredibly difficult to find ways to include our daughter in the day, nothing seemed enough. So with her music in our ears, and her roses in our hands, while we said our vows, she was in our hearts, and always will be a part of us all. I read an article this week about how baking makes a woman a better mother, so I am hoping this is true for wives too. Now don’t worry, I’m not giving up my job and becoming a house wife! Although secretly I might love that, I know I would be bored in no time. However a little more baking does no harm! 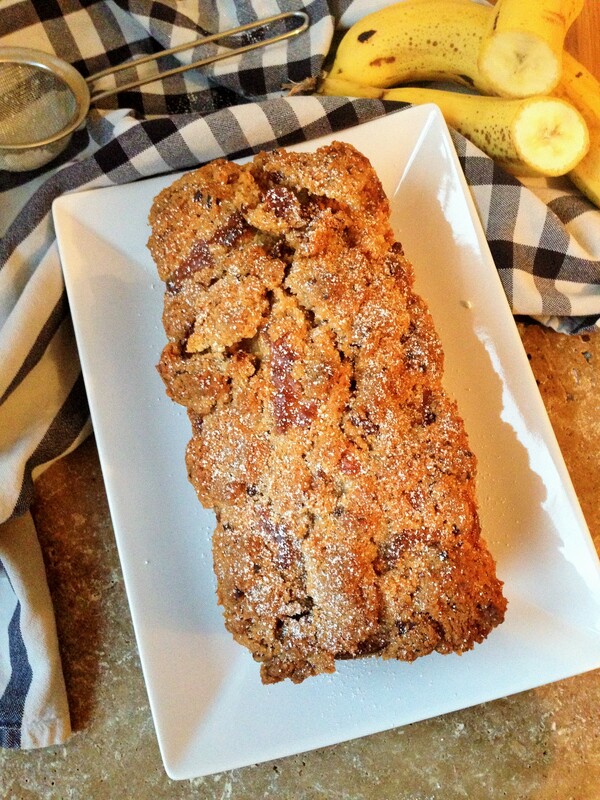 This week I am sharing my banana bread with you. Over the years, I have tried many a recipe and while some were pretty bad, some were good, this one is great. It is the first one I’ve ever made that has risen and not sunken back down. It is moist, flavoursome and not too sweet. I have developed this one over the last 6 months. With a new love for bananas, there have always been a pile of them in the kitchen and occasionally I find a few at the bottom of the fruit bowl that could only possibly be enjoyed within a bread. So here you have it, my yummy banana bread. There aren’t many photographs of the how to make this one. That’s because it’s just so simple and quick that it is self explained! Which makes this recipe even better! The topping just adds extra texture to the bread. It’s not totally necessary but it is worth putting on. Heat the oven to 350/180 C /165 C fan oven. 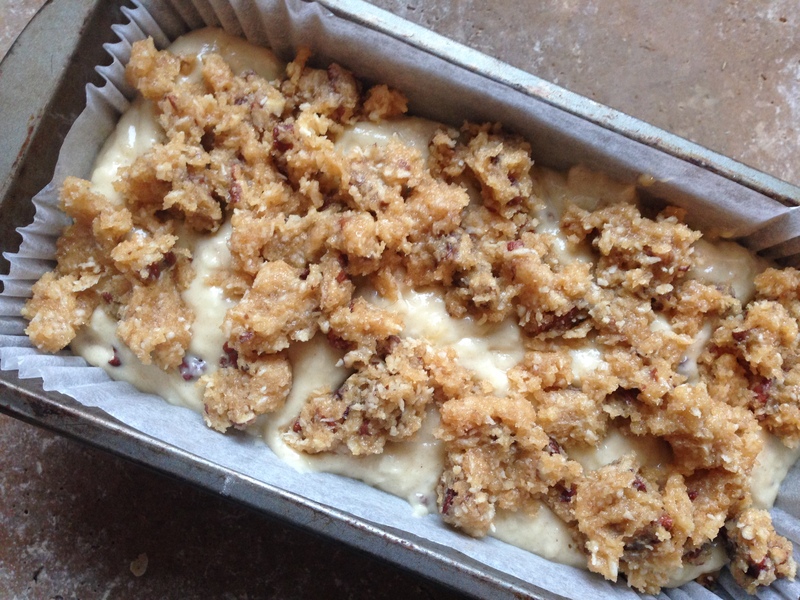 Line a loaf tin with parchment. 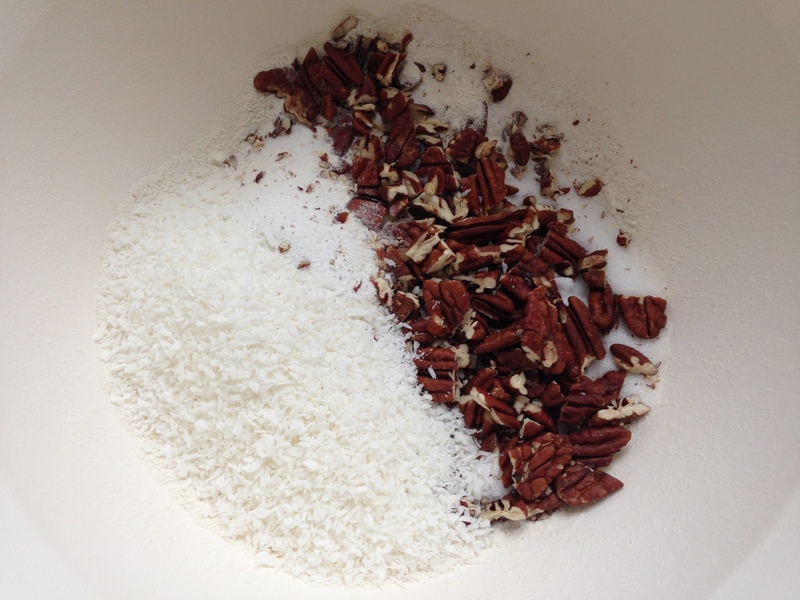 Mix all your dry ingredients together. Now mix all your wet ingredients together (including the banana). Add the wet to the dry and mix thoroughly. 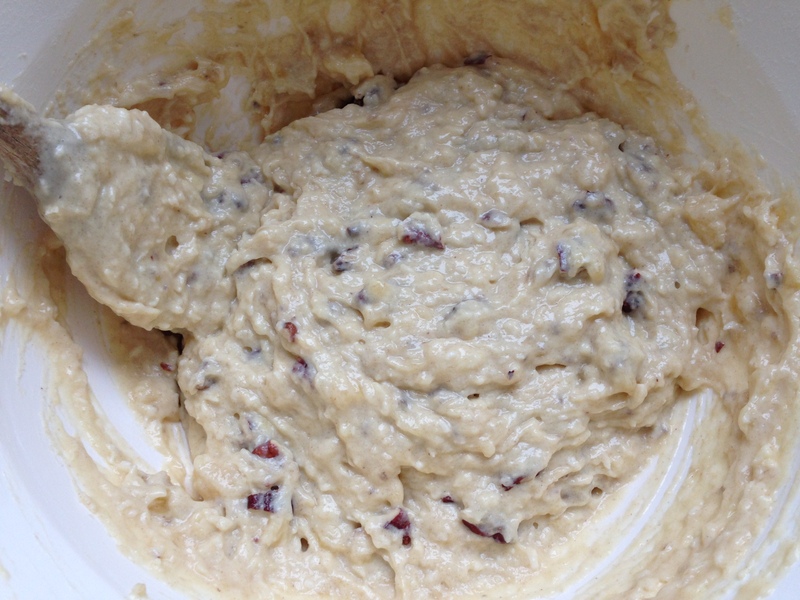 Spoon the mixture into the lined loaf tin. 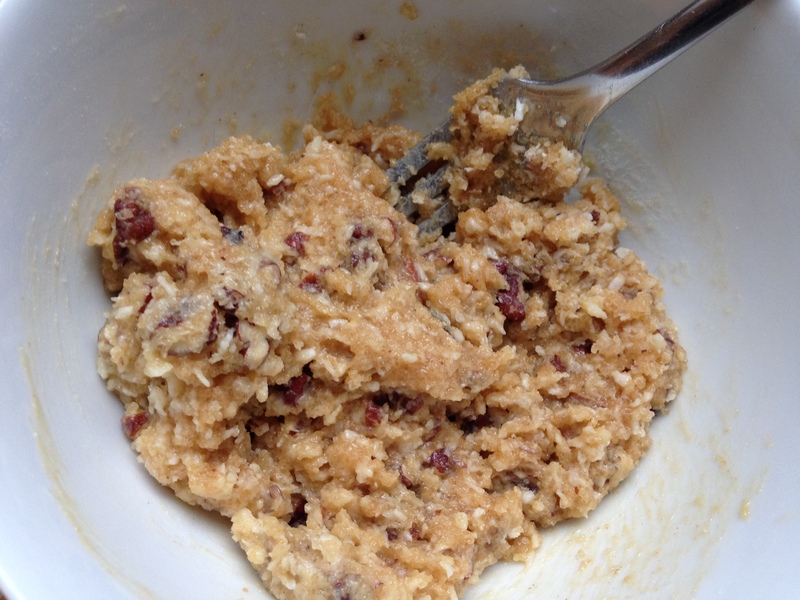 Mix all the ingredients together with a fork, until nice and chunky. Sprinkle on top of the loaf and them pop into the oven for 40-45 minutes. Dust with a little icing sugar and slice. 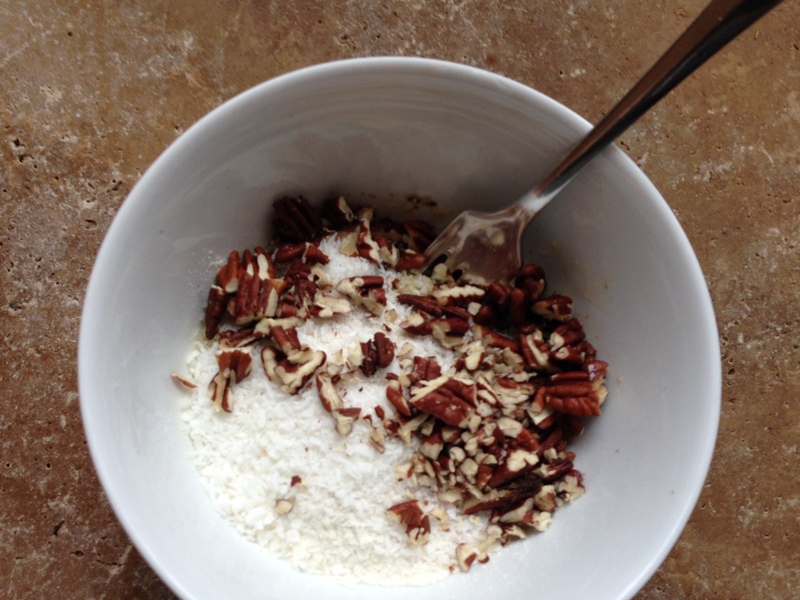 The topping will have crisped up and may flake a little, but the crumbs makes for a yummy after thought. 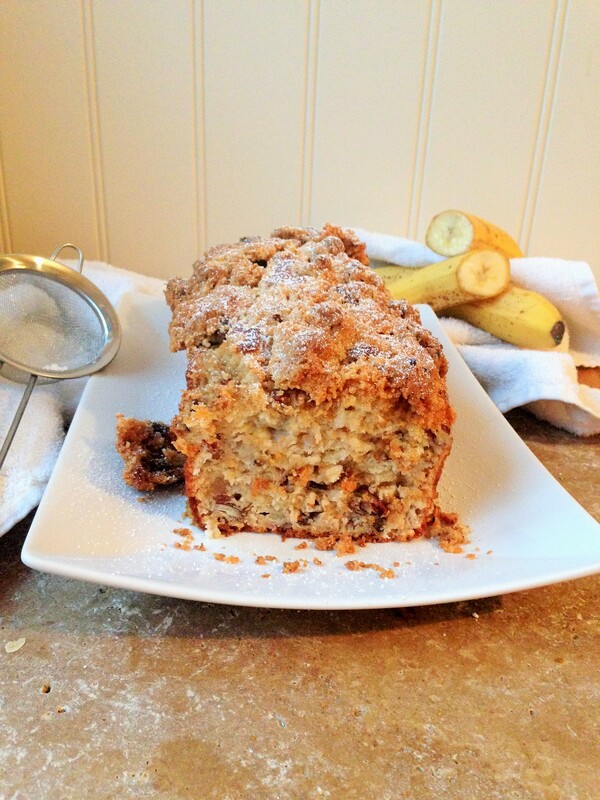 This is gorgeous – it’s actually like cake, but without the sugar crash afterwards!